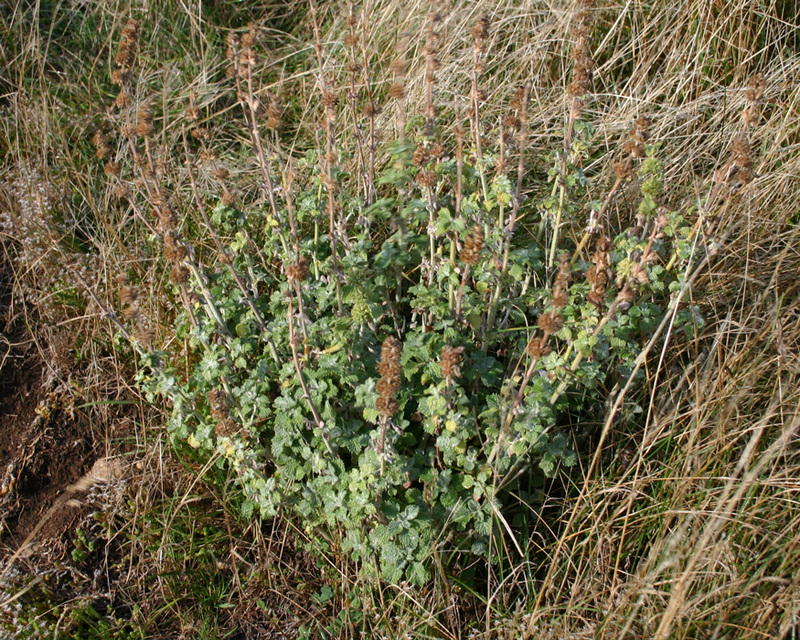 Plants have a bitter taste and are largely avoided by animals. Especially a problem weed in lucerne but also in open, dry pastures. First recorded in New Zealand in 1867. Seeds are contained in a hooked calyx (ring of sepals just below the petals) which may remain attached to the stems of plants for several months, but easily break off when brushed by animals, livestock, or socks. Flowers provide a source of nectar for bees. It is also very common in many Australian States, especially South Australia. 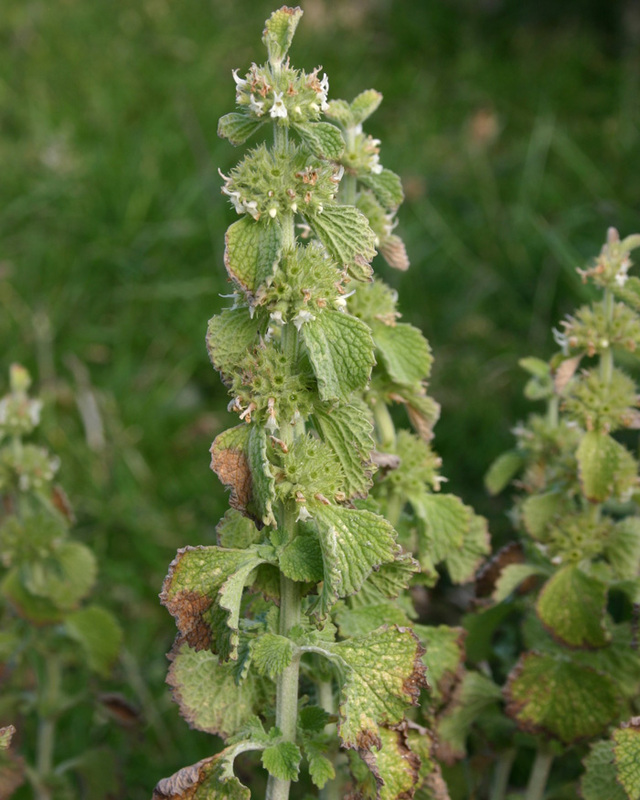 Dried horehound flowers can reduce the value of wool. In Australia in 1988 it was estimated to cost the wool industry A$680,000 a year. Grows on poor soils and where there is little competition in autumn. 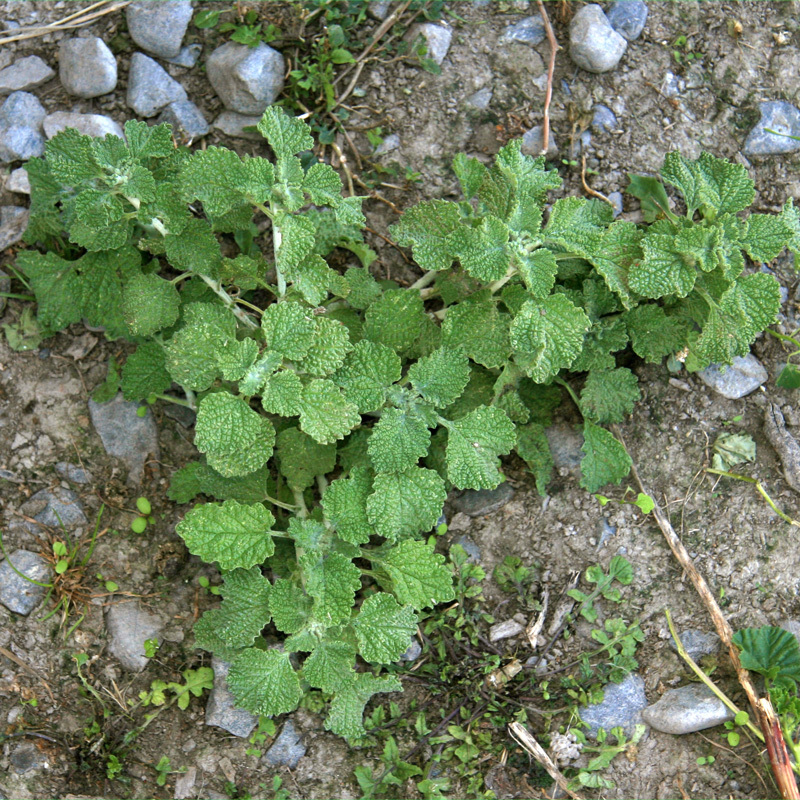 Topping of horehound will remove the flower stems and improve stock access to pasture. 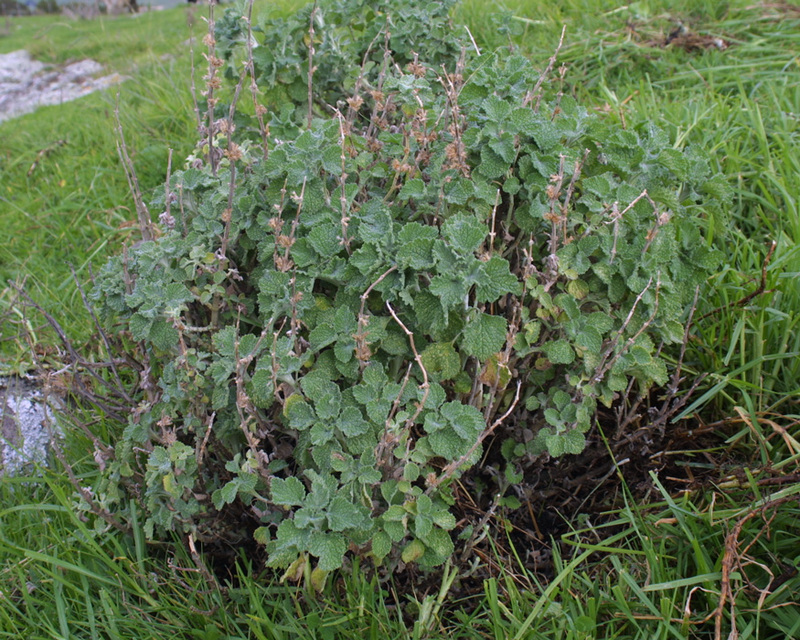 Winter treatment of lucerne with herbicide is probably the most effective treatment for control of horehound. Recent research in Central Otago supported earlier work showing that glyphosate and atrazine can be used successfully as a winter herbicide on lucerne when the crop is dormant (July or August) and lucerne cover below 100 kg DM/ha. 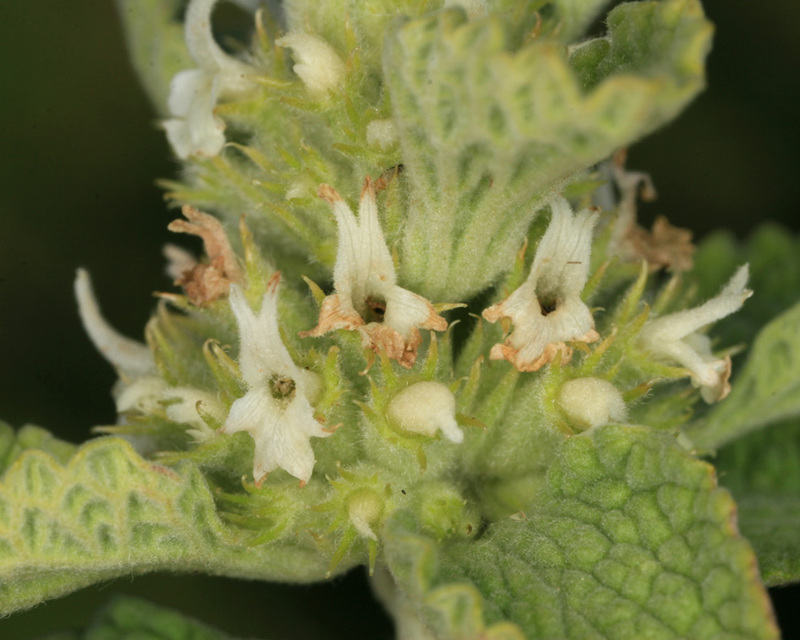 The brightly coloured horehound bug (Agononscelis rutile) is often found in large numbers on horehound plants in Australia but does not seem to have any significant effect on the plant. Roux M, Leask SK, Moot DJ, 2014. Yield and composition of lucerne stands in Central Otago after different winter grazing and weed control treatments. Proceedings of the New Zealand Grassland Association, 76: 89-96. (accessed 7 December 2016). Popay, AI (2013). 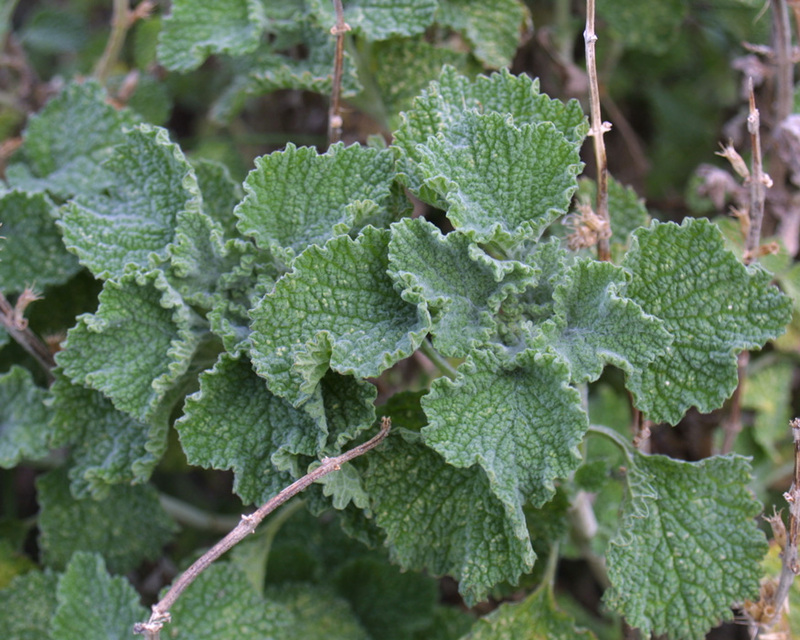 Marrubium vulgare (horehound). CABI Invasive Species Compendium. (accessed 7 December 2016).